No matter how hopeless you feel about the state of your marriage, we believe you can rekindle intimacy with your spouse. Because it happened to us too. We used to be just like you, missing that deep connection, meaningful conversations, and excitement we had when we first met. 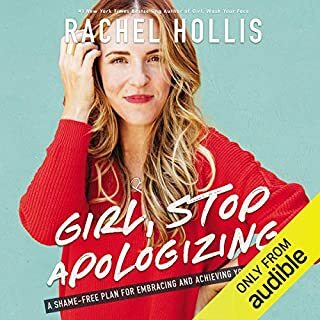 However, we have used what we share in this audiobook to reconnect, grow together, and rekindle intimacy in our marriage; emotionally, intellectually, spiritually, physically, sexually, and much more. I found this book to be very interesting and thought provoking. However, there is an underlying Christian focus that is not spoken of in its description. For someone who is not religious or for someone of another faith, they may lose focus at times where the Christian emphasis is highlighted. I was SO skeptical about this book. I am not a Christian and didn’t think I could relate it to. I was SO. WRONG. This book changed almost every relationship in my life for the better. 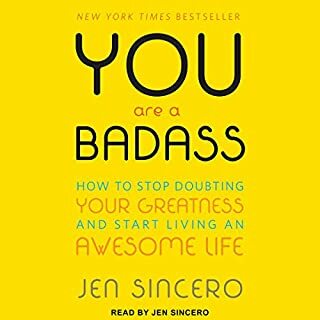 Reading/ listening to this book should be a life requirement...like taxes. 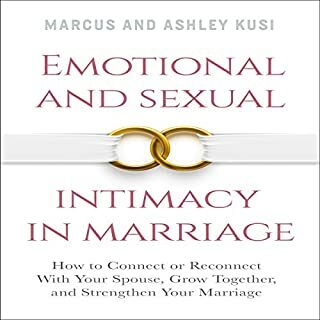 This book is universal, not only for married couples, it can be applied anywhere with your human connections. The concept is pretty simple and the power of the book comes from the simplicity of the concepts. Applying those concepts is the great challenge and it is 150% worth trying it. Any human relationship should be understood through this lenses. I loved it. Dr Chapman has an amazing concept here. 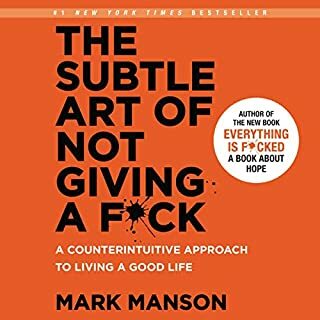 I just found out my wife had been cheating on me for the last 3 years and this book really helpped me understand myself and why she did this and what I could do to help heal. Saddly we are still divorcing but this is still helpping me understand and become closer with my kids, family and friends and even coworkers. I will re listen over and over again to help refresh myself and follow Dr Chapman's theories in all my ruture relationships. should be read by everyone! highly recommend as a must read. loved how it gave me such a clear understanding of how to approach my relationships. with clear instructions on how to handle difficult situations. loved it. I haven’t even used it in my masticated yet but I feel the doors are wide open for improving my already happy and healthy relationship with my husband and kids! Such great insight for self and others. 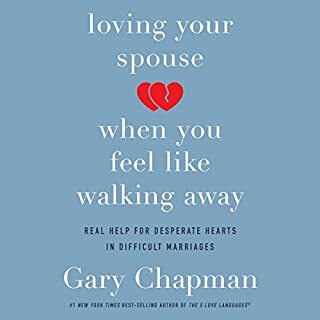 Must read if you are feeling unloved in a relationship, and want the relationship work for you and your partner. If you want to give love and feel loved again. In fact you can use the same concepts in any relationship. 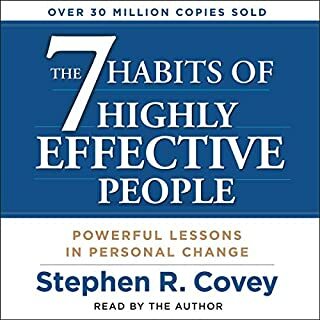 Every single person on this planet needs to read this book! It’s so helpful for all relationships in our lives. In one word, amazing! I will make this honest & to the point. As I am Australian we kind of like our info served straight up and no beating around the bush. I get tired of reading reviews that sound over the top of many peoples heads & those that make you wonder if they were paid to write it. Let me tell you this, from start to finish this guy knows his stuff. 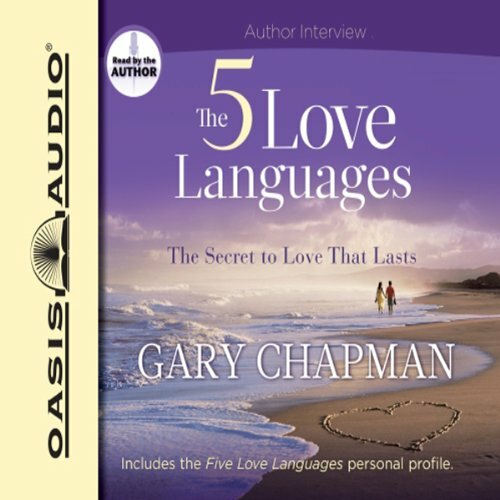 These Love languages Dr Chapman talks about transcend culture & speech language. They would work for anyone, anywhere in the world that has a desire to seek more from their partnership and is willing to listen. 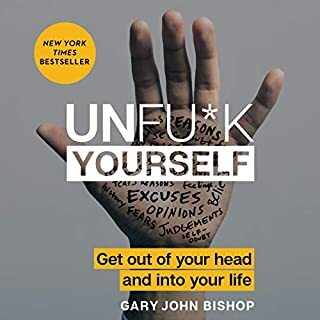 Dont let his funky southern accent put you off, it will actually endear you to him as you grow to admire his insights and find your own penny dropping inside. Everything he said made sense, plain english and would apply to everyone's situation whether married, in a relationship or not. Its real info that can be used to reopen and then keep the channels of communication open between partners. Also info that will make giving & receiving love as well as being lovable so much easier. 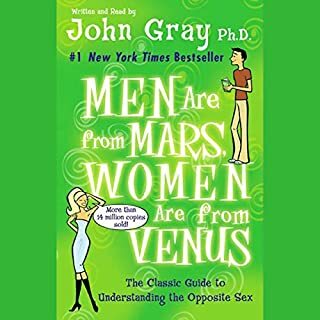 It doesnt focus so much on the differences between men and women like in the Mars Venus Series of John Gray but more on the WAY we love. It explains why those suggestions you get in magazines dont always work so well. SO refreshing and info that I didnt even know I needed! Our marriage was in a rut & I can honestly say that when trying some suggestions from the book my husband immediately responded. He even wanted to listen to the book with me and we disussed things as we listened. It has brought us so much closer and helped us to connect again while learning more about ourselves and each other. We plan to go further with our "reading" as we have a new hobby, listening to books together. I hope Dr Chapman will keep writing! Thanks Dr! This is a great book. 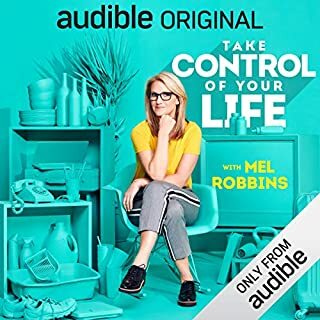 I have the print copy, but found it difficult for my long time fiance and myself to find time to read it together - the audiobook was a great answer. 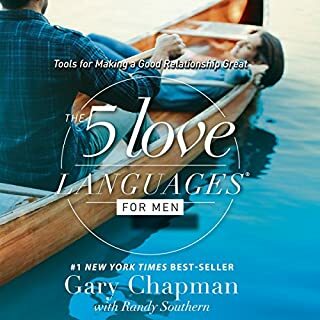 Dr. Chapman's work on the five love languages is insightful and helps us to realize just why some things that are so simple and basic to us, may not be understood by our mate. When miscommunication occurs, you can sometimes be left wondering, "who is this person I am with?" 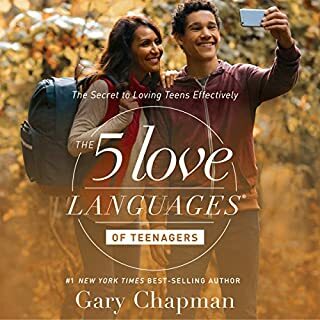 but a look into the five love languages can really help identify these issues and Dr. Chapman gives suggestions on how to work through them together - all the while loving each other BETTER! 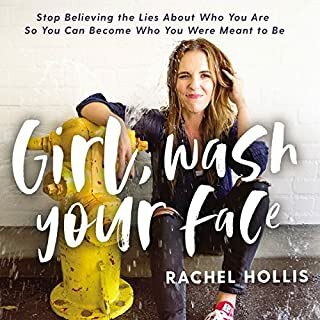 =) I definitely recommend this book to anyone who has ever felt confused about relationships, whether it be with family, friends, or significant others. Who is NOT in this category? =) So many relationship books seem like so much reading and not enough action ... or just so much work ... or just fluff. But this is NOT work, it is not fluff, and it is not words without action. It is great knowledge that you can begin to apply TODAY. I also think Dr. Chapman's narration of the book was excellent - you can really hear the sincerity of his voice, and the excitement he evokes when telling his stories. I will especially point out a part in the book we loved - when he talks about vacuuming the house, how he hated it as a kid and how he never thought he'd have to do that as a grown-up - but he now HAPPILY does it weekly for his wife, and in his words, "There is only one reason: L-O-V-E!" Wonderfully simple, practical concepts that provide us truly effective methods of expressing and receiving love. Any and all relationships could benefit from the information contained in this book. While it is written from a Christian perspective and focuses almost exclusively on married couples experiencing some level of dysfunction in their marriages, the material can be interpreted in any way that best serves your needs. 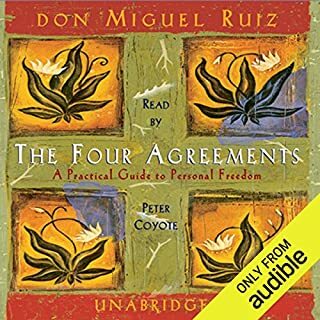 I myself am not a Christian nor am I married, but this has offered wonderful clarity and help to me and my significant other as we co-create the relationship of our dreams together. Hoping to put these lessons to use to set us up for success so we won't need the damage control down the road! I am a chaplain and speak with a lot of people. I have found myself recommending this book more than any other. The books is not a list of techniques used to manipulate people. It is a discussion about how to truly serve others in the way they want to be served. We often serve others in the way that we would like to be served. Then, we wonder why they don’t respond. 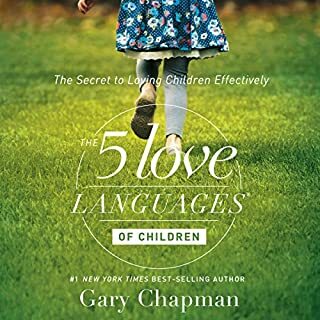 Dr. Chapman helps us to overcome this mistake and discover the means by which our spouses and children like to receive love. Throughout the book, he also gives us practical advice on how to fulfill those needs. The fundamentals are especially helpful in marital and family relationships and can be applied, in a limited manner to casual relationships as well. One should not be surprised that the book has distinctly Christian worldview. It is published by Oasis. I do not know of a book they publish that is not distinctly Christian. I wish I knew this stuff years ago! Though a lot of the information in this book is pretty much common sense, this book shines by explaining what common sense seems to leave out. We all feel love in different ways, and we need to give and receive love in the ways that work best for us. Well read and informative. Could have used a bit more info on how to get around some of the hurdles that will likely crop up when trying to follow-through on this books teachings. A sure way to inject life into your marriage. My wife and I discovered this book about eight years ago. It is a practical book that touches on a problem most couples experience - different ways of expressing love. 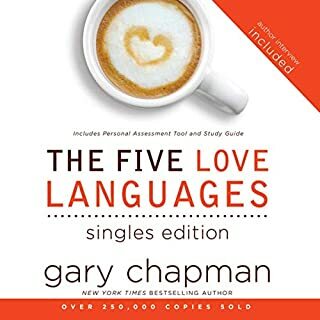 Dr. Chapman is equally funny and brilliant on his exposition of the love languages. I have successfully used and practiced the principles he teach in his book not only in my marriage but with dozens of couples I have mentored. It works! Speaking the love language of your spouse will take your marriage to new heights or revive the relationship you're in. Read it and apply it. I would, because the concepts presented in this book are so important and make every relationship in your life better. What was one of the most memorable moments of The Five Love Languages: The Secret to Love That Lasts? Finding out what my Love Language is, and what the love languages of the people I care about are, so that I can communicate with the people I care about in a more positive way. What insight do you think you’ll apply from The Five Love Languages: The Secret to Love That Lasts? This book flows nicely, is narrated pleasantly, and contains enough good information to justify the time. It is not the definitive work on communications in relationships, but it is one more perspective that should be considered. While the author gives five approaches to better communicate with your partner, the real crux of the biscuit is that it helps you actually look at your partners wants and needs. This is one of a hundred ways to skin a cat, but it is a valid way and a good addition to your repertoire. And, a very pleasant listen. The other reviews I read made me think this would be full of great insights. I had to fast forward through the first part, which was a long, self-congratulatory interview with the author. 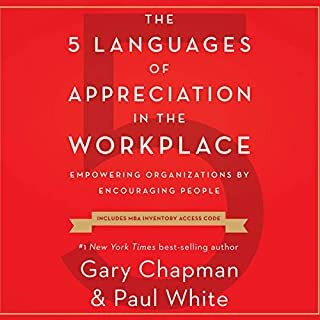 The five languages were no big surprise - kind words, gift-giving, service, touching, and quality time. All five are good things to do for your loved ones. I'd call this a case of Expando Publishing - taking what should be a brochure or flyer and expanding it into a full length book. Found this book on sale and was in the mood for some 'self-help' inspiration. This book actually provided some thoughtful inspiration ... a different perspective on the way we love. I liked it. Be aware that there is a religious undertone (Christian)- not offensive, but it is a presence. All in all I think this book is well worth the reading. Liked that the principles could be applied in any love relationship , not just for couples but for families and children as well. Useful for every current or to-be couple. 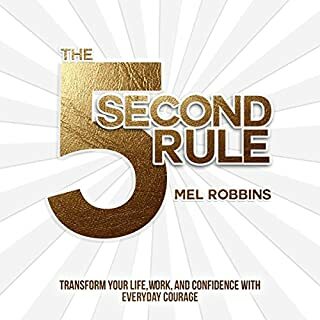 All results will come with practice, not just reading this book. a good way to know yourself and your spouse. we understand the pattern that we spouse have to take to be more and a better communicater through the book. and we really understand our self and what we are and what we want. and that amazing. it help us understand that what we want is not that the other needs.